I like Thai food. A lot. I don’t eat it often because there are no great Thai restaurants in my neck of the woods and, well, if I’m going to grab a quick bite, I’ll usually get Vietnamese. Occasionally, though, I have a real craving for a good, hearty red curry or spicy Thai noodle dish. Until recently, I ordered from a rather expensive place on South Street–our house falls one block inside their delivery radius. A few months ago, however, I saw mention on Twitter of Circles Thai, a Thai take-out/delivery spot just a few blocks from my house. Ummm, what?!?! This was fantastic news! I ordered from them once or twice and knew that this would become a go-to delivery spot for us (especially with Los Jalapenos’ recent demise.) I’ve ordered from them a number of times and have never been disappointed. This weekend, we decided to meet up with some friends, order takeout and just hang out. A back and forth ensued regarding our cuisine of choice and we happily settled on Thai. We were a hungry bunch and our final order consisted of summer rolls, cheesesteak spring rolls, fried tofu, chicken satay, rice soup, red curry, two Thai beef salads and Pad Kee Mow. The food came quickly and my friend, Brian, engaged in a brief conversation with the friendly delivery guy that seemed to center around my bulldog and skateboarding. We brought the food into the kitchen to unpack and realize that we had quite a haul. 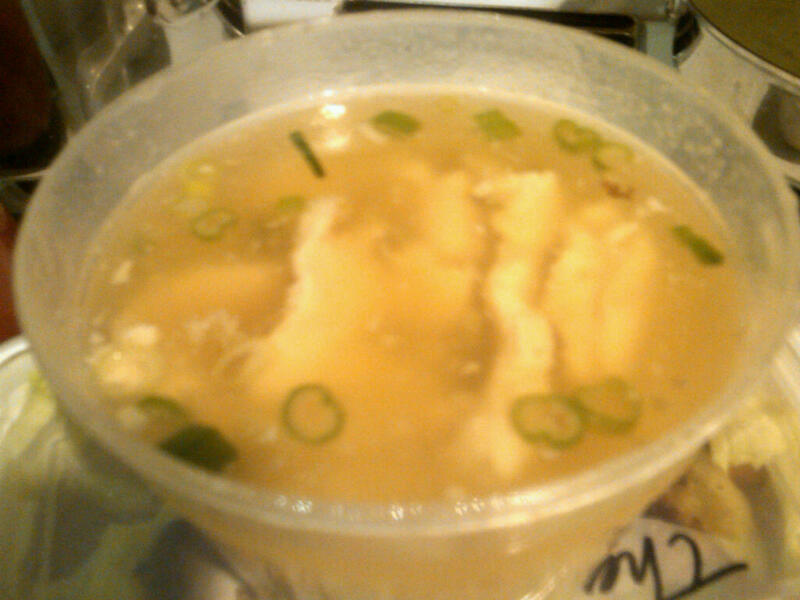 Brian’s rice soup. I didn’t taste this but he seemed to enjoy it and I think it looked simple and tasty. 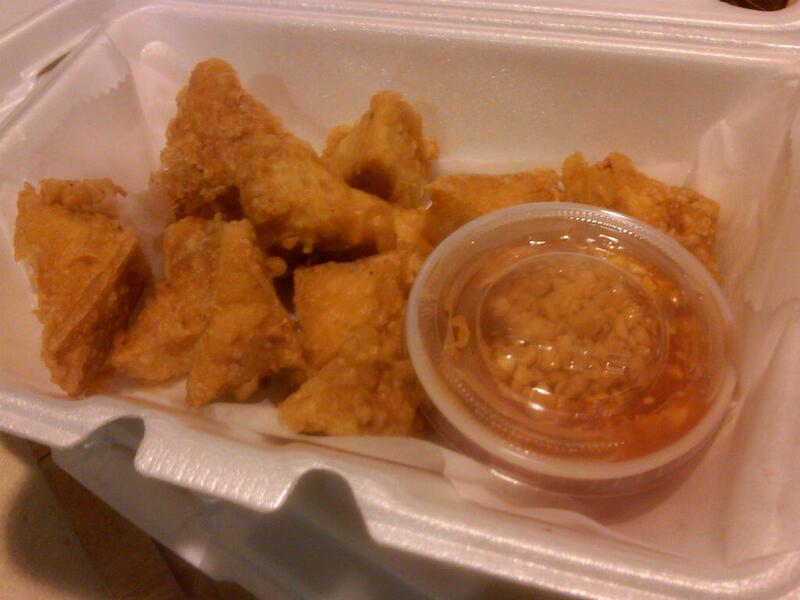 The fried tofu. For someone who was a vegetarian for many years, I’ve never been able to get behind tofu. This tofu was good though. Their secret? Frying, duh. Make anything crispy enough and I’ll love it. Although it did have a nice, crispy coating, the tofu inside still maintained its integrity. There was a syrupy dipping sauce that reminded me a bit of duck sauce. The summer rolls were pretty straightforward. The cheesesteak spring rolls. Oh, the cheesesteak spring rolls. 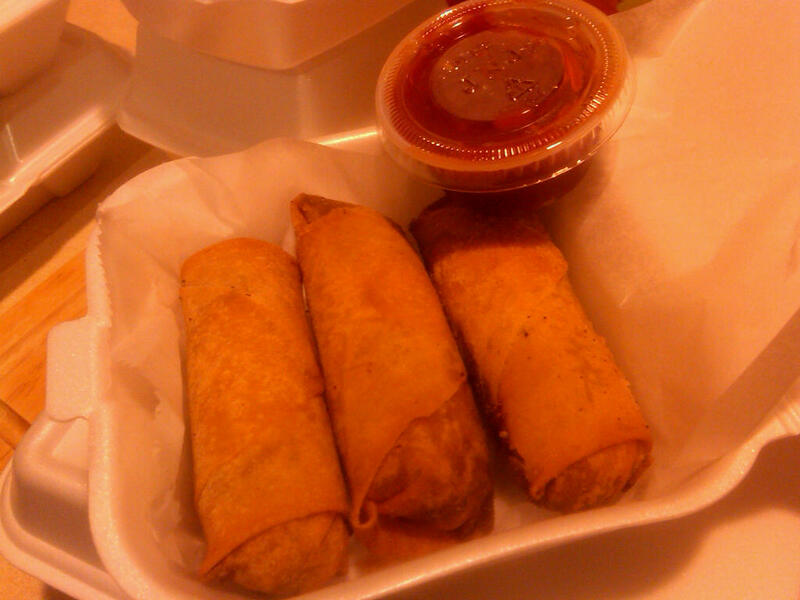 When I was in college, I used to go to a Chinese store in Germantown that sold cheesesteak spring rolls and I devoured them like it was my job. When I saw these on the menu, it brought me back to those days and I eagerly ordered them. 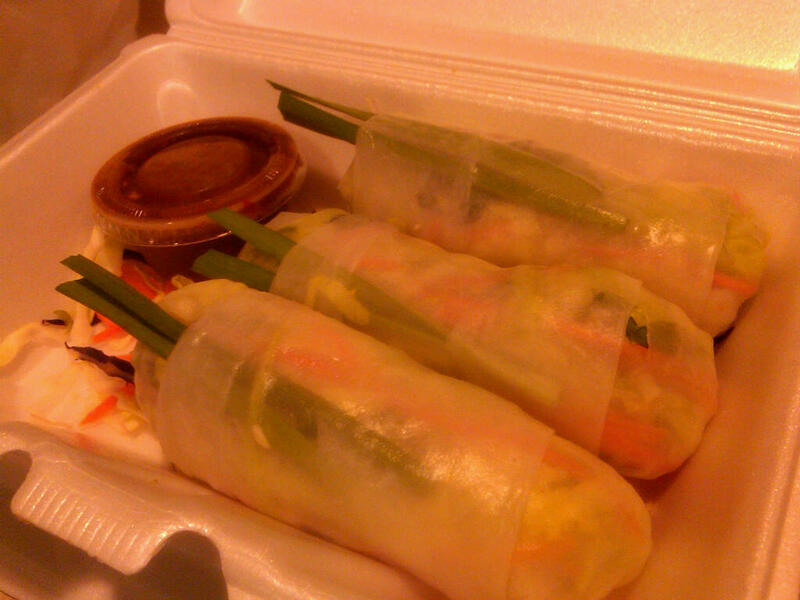 These are nothing like the cheesesteak spring rolls of yore. 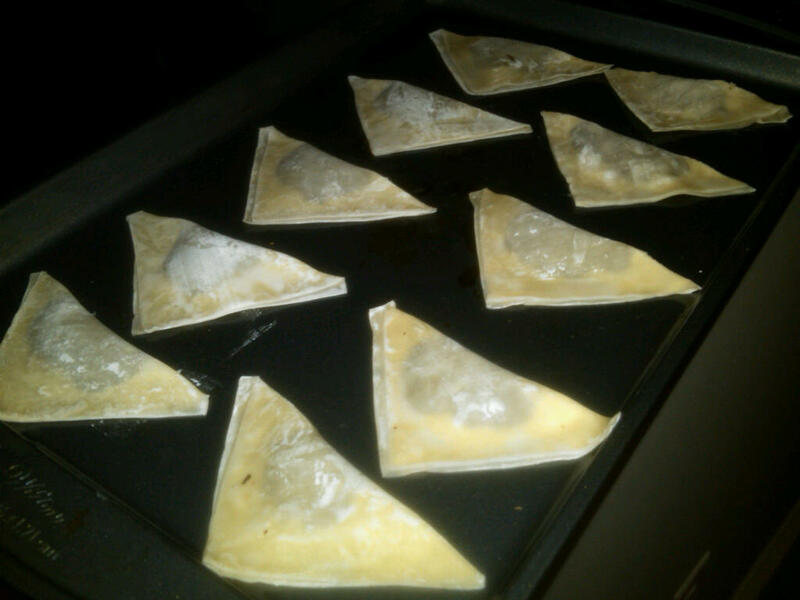 They have a light and flaky wrapping with a flavorful cheesesteak filling–rich meat mingled with onions and cheese. An order gives you three and I could easily house all of them. It comes with a side of spicy ketchup that I usually toss in the fridge and save for later (it’s actually really good) because I don’t want anything marring the flavor of the spring rolls. Wow, apparently I feel pretty strongly about this dish. 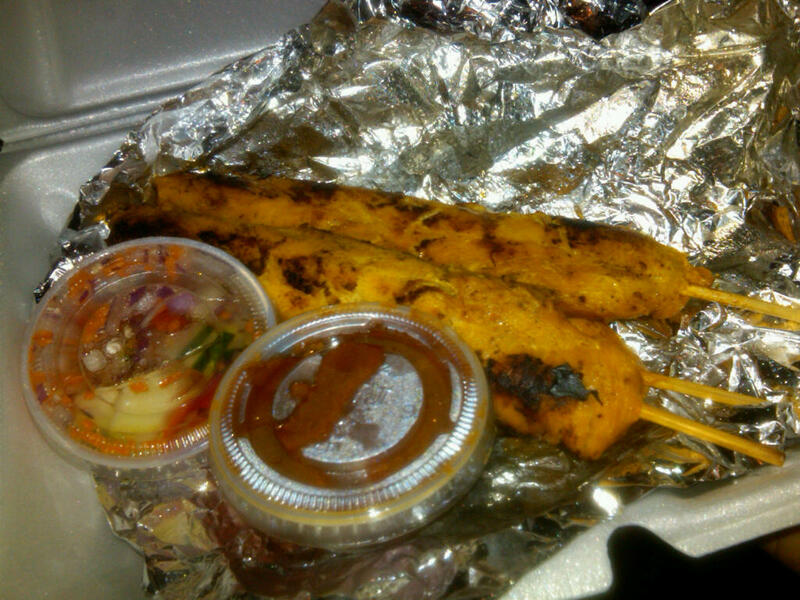 My other favorite is the chicken satay. My husband and I grill a lot and know how difficult it can be to get moist white meat chicken. Circles NAILS this dish. It comes with three huge skewers that are marinated in something unrecognizable but the meat is so, so very tender. There are two dipping sauces on the side. Two sauces?! I can never decide if I prefer the vinegary cucumber sauce or the peanut sauce so I usually alternate between the two. Oh my gosh, oh my gosh–vegetarians!!! I just checked out the online menu and it looks like they have vegetarian versions of the spring rolls and VEGAN versions of the satay. Love it! On to the entrees. 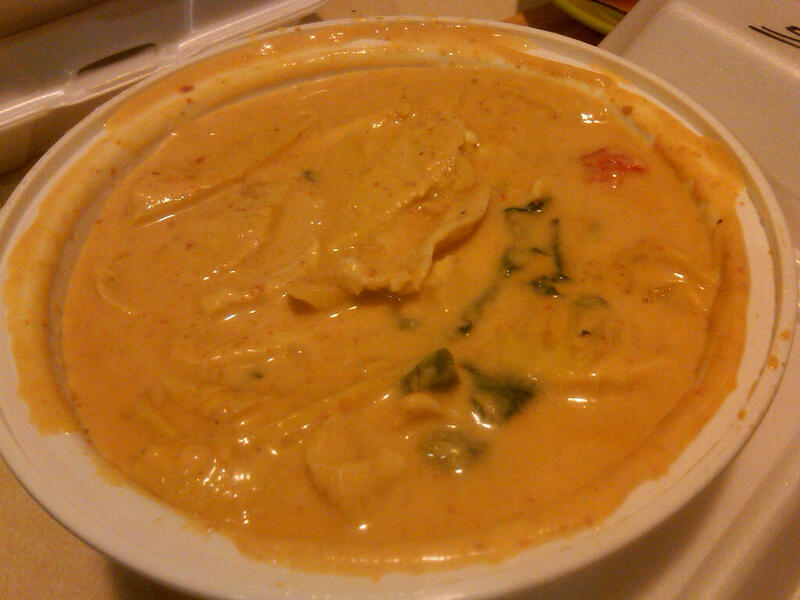 Teresa went with a red curry. I didn’t taste it but the scent wafted into my nostrils as I was taking a photo and if it tasted even half as good as it smelled then she was ok. Check out the trails of creamy coconut milk. 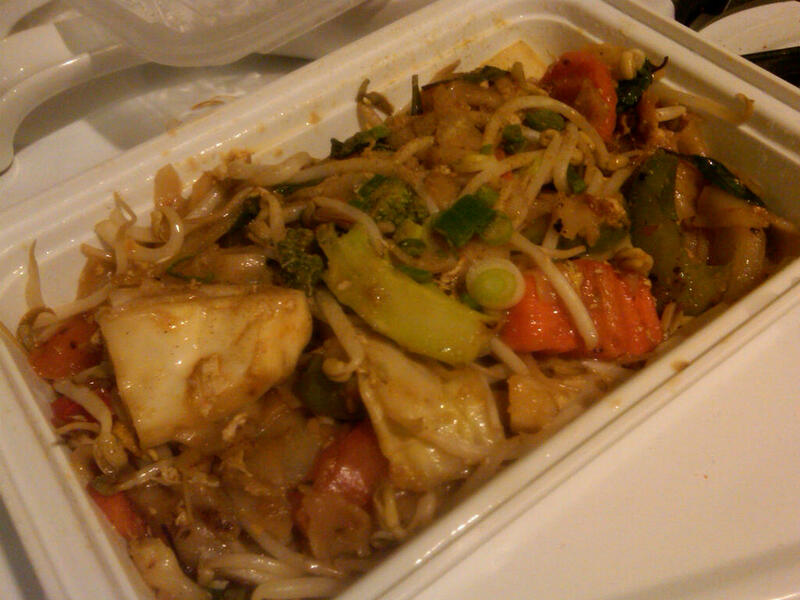 I got the Pad Kee Mow (Drunken Noodles) which is wide rice noodles with a garlic chili basil sauce. You can add your choice of proteins but I usually opt for veggie (hold the tofu, please.) By the time I got to this dish, I was pretty full already. It was so darn good, though, that it didn’t stop me from eating and eating. The sauce has just a bit of a kick and I have a serious weakness for wide rice noodles. They’re NOT easy to find on takeout menus in Philadelphia so when I get them, I’m a happy lady. 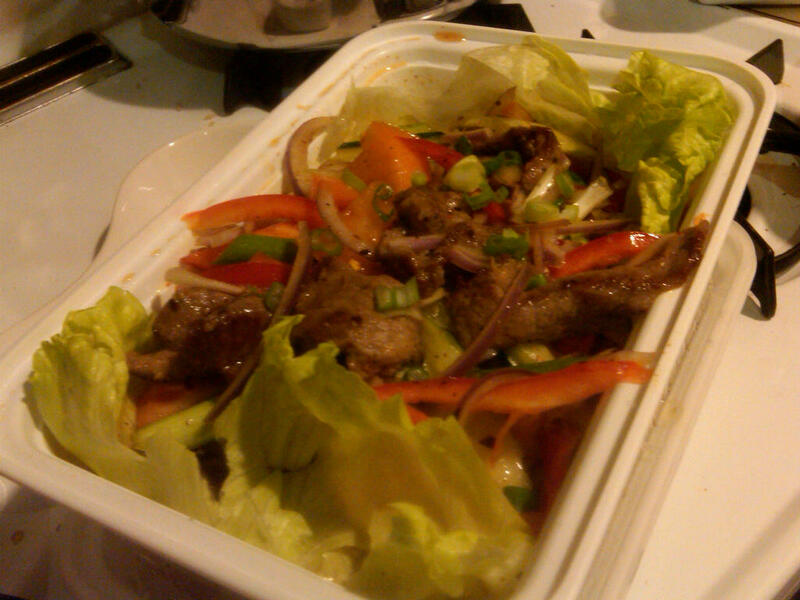 The story of the night goes to the Thai beef salad. My husband and Brian both ordered it but Brian specified spicy while my husband, Zach, prefers mild. When they started eating, Brian made a few comments about how spicy his dish was and Zach quietly munched. Towards the end of the meal, Zach made a comment along the lines of “if this is mild, I don’t want to taste the hot.” I grabbed a bit of rice and soaked up some of the juices. Holy hell, that dish was HOT!!! I then tasted Brian’s to get a comparison and his was either just as hot or hotter. My taste buds were so burned by then that I couldn’t really tell the difference. Poor Zach liked the salad so much that he finished the whole thing (with a little extra sweat and clear nasal passages of course.) Regardless of Spice-Gate 2011, the gentlemen enjoyed the salads and kept going back for more. Did I mention we were also celebrating Chinese New Year? Teresa is Chinese-American and has quickly become my resource of all things Chinese (remember when we got Dim Sum?) When we walked in the door, I immediately gravitated to the cookie sheet perched on the counter with these delightful looking won tons. 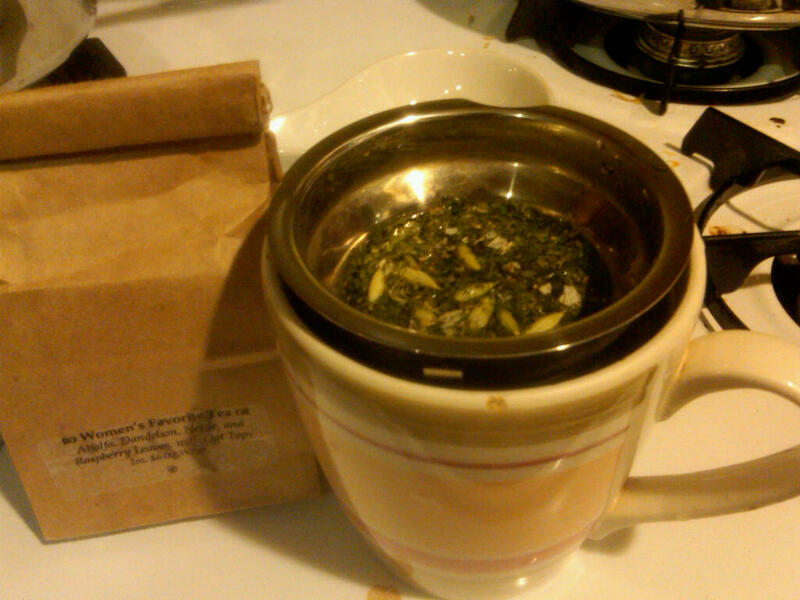 While she was brewing the “Women’s Favorite Tea” that contains ingredients such as alfalfa and dandelion, she showed me a traditional Chinese tea set that her parents had bought for her boyfriend and explained the process by which the tiny little (shot) cups of tea are served. Interesting stuff. Another intriguing item that she had was Chinese New Year’s cake. Now, earlier in the day when Teresa told me she’d be attempting this cake, I expected to see flour, sugar and eggs. How wrong I was. Chinese New Year’s cake looks more like this. Well, the sweet version does. Apparently there’s a savory version as well. Above is the glutinous rice dish pictures before being dipped in egg and pan fried. Here’s the final product of both desserts. Honestly, the “cake” didn’t look so pretty so I strategically placed it near the back of the photo. 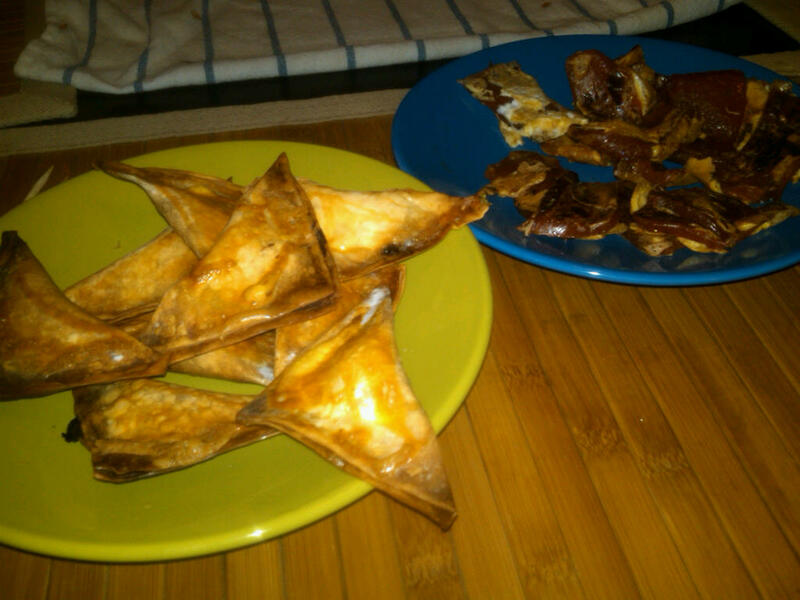 Teresa didn’t care for the baked won tons and mentioned that she had probably overcooked them a bit. So they were a little crispy and the nutella inside had hardened a bit. Um, it was still nutella which was ok by me! The cake was interesting and I’m not just saying that to be nice. It was only slightly sweet and heavy on the gluten. It was one of those dishes that I couldn’t tell whether I liked it or not. So I kept eating it. After that dish, Teresa surprised us with a final dessert of sesame rice balls. Jeez! She must be trying to prepare me for my upcoming trip (20 course tasting menu) to Han Dynasty. 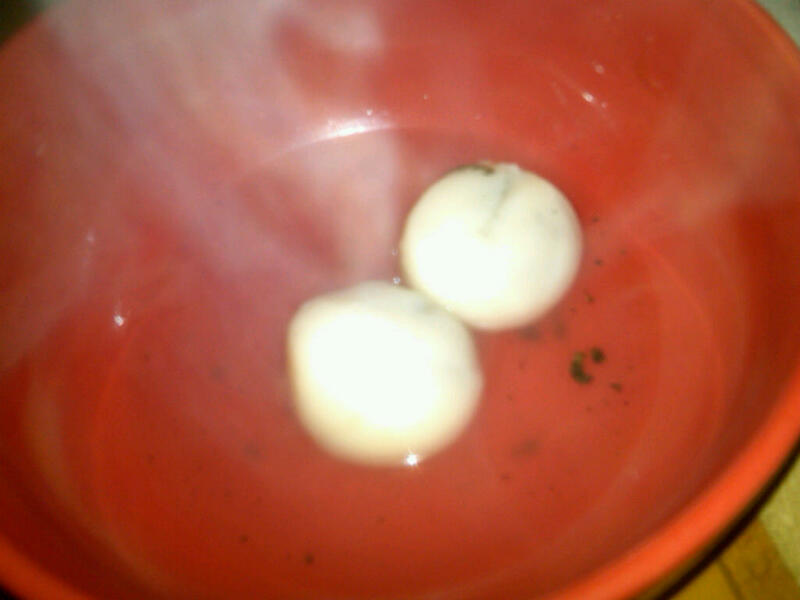 The rice balls were glutinous as well, yet slightly less sticky and they were stuffed with a murky, sweet sesame paste. 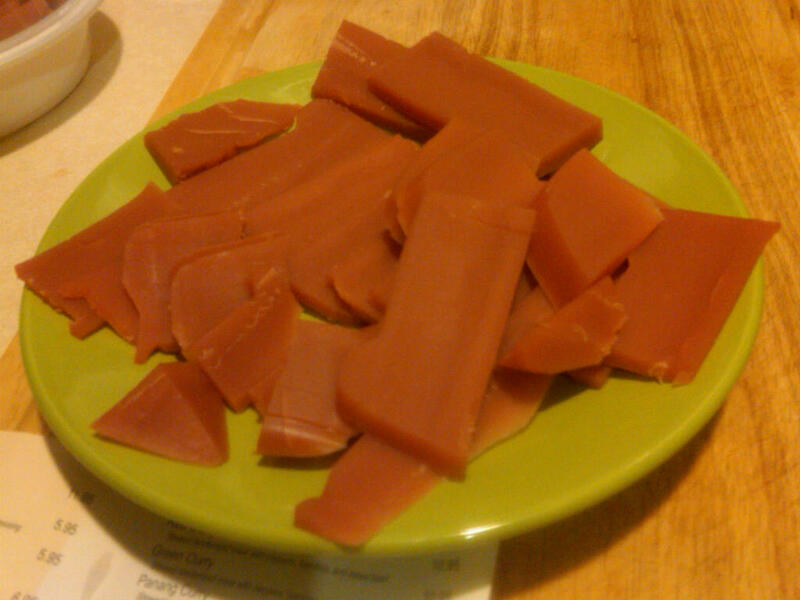 We decided together that this glutinous flavor/consistently is unique to Asian cuisine, which is why my palate was having so much difficulty with it. Really, I just couldn’t tell how I felt about these dishes because they were so unlike any sweet dessert I am accustomed to. In the end, I enjoyed each of them. The black stuff at the bottom of the bowl is a bit of the sesame stuffing that leaked out of the rice ball. Check out the steam! Ultimately, this was an amazing Asian feast. I love that we started the night in Thailand and ended in China. I’m game to take an intra-continental dinner any time and Saturday did not disappoint thanks to Circles Thai and Teresa!